By offering the style and personalization of a bespoke stationer, Paperless Post is infusing everyday email correspondence with sophistication. Letterpress look-alikes straight into your inbox are the genius idea of the sibling team, Alexa and James Hirschfeld, and I couldn't be more impressed with their product. 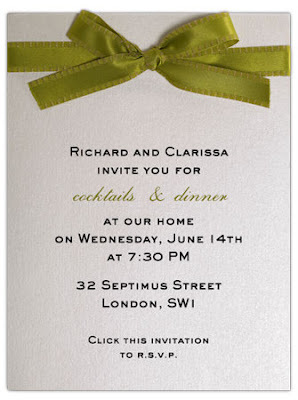 Chicer than an evite, with designs for any event, Paperless Post is a great option for everything from a large fete to a baby shower. And because of the low cost (250 emails will cost around $10, design is free) many brides and grooms are utilizing their services to not only go green, but save some green. 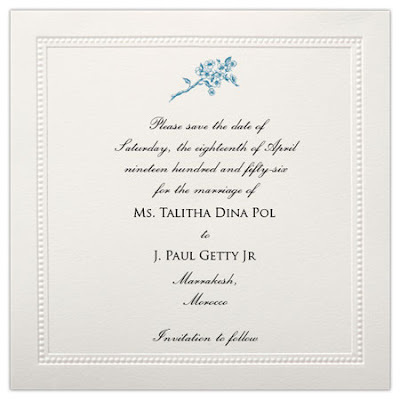 Paperless Post also has the functionality of online tracking for large mailings and invitation suites which has cool kids like Zac Posen and Condi Rice utilizing their services. It is the perfect marriage of efficiency and style in today's digital world! I know a lot of people have strong feelings about receiving mail, but I honestly think I'd be excited to get a special looking "letter" in my inbox. What about you? How would you feel about getting holiday cards in this format? These are great, off to their site now...stylish designs too! I'd be pleased to receive something like this. Definitely better than an evite! I love this! It's much more my style than eVite! I'll definitely be using it...thanks for sharing! Wow, these are really beautiful! 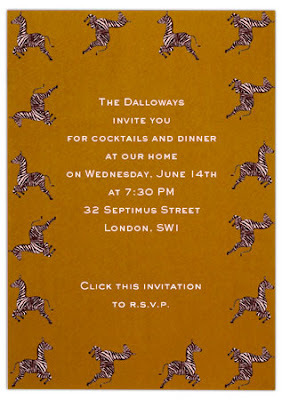 I just did a post on eco-friendly invitations, and might have gone with something like this if a younger crowd was attending - many of the women attending the shower are older and don't use email, unfortunately. But I'll definitely keep these in mind for future events - thanks for sharing! I like these too for fun events but I think I will always like getting holiday cards and wedding invitations snail mail style. love this! i'll have to use it for our anniversary party! There is still something about getting something in the mail (eco-guilt aside! ), but this is a really nice and affordable alternative. Thanks for sharing! I like this idea! And they look so chic!